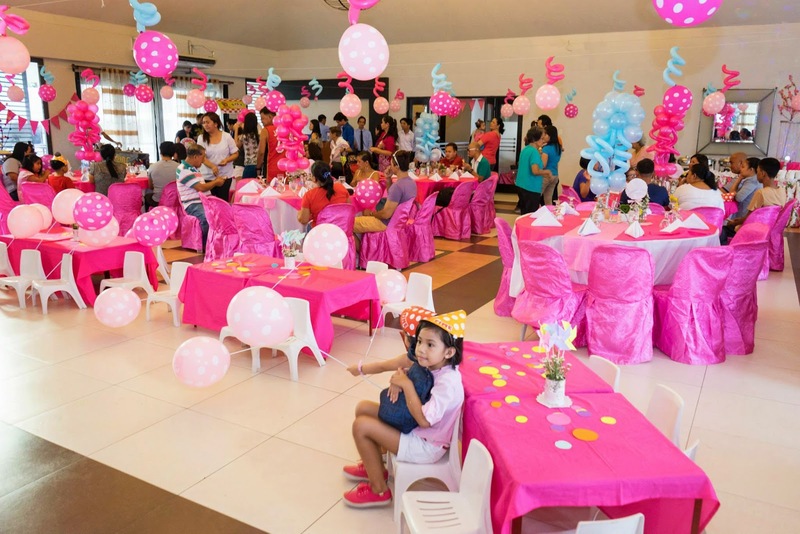 It’s fun to know that more and more people are getting into putting a theme into their parties or events and start to veer away from the traditional boring ones. 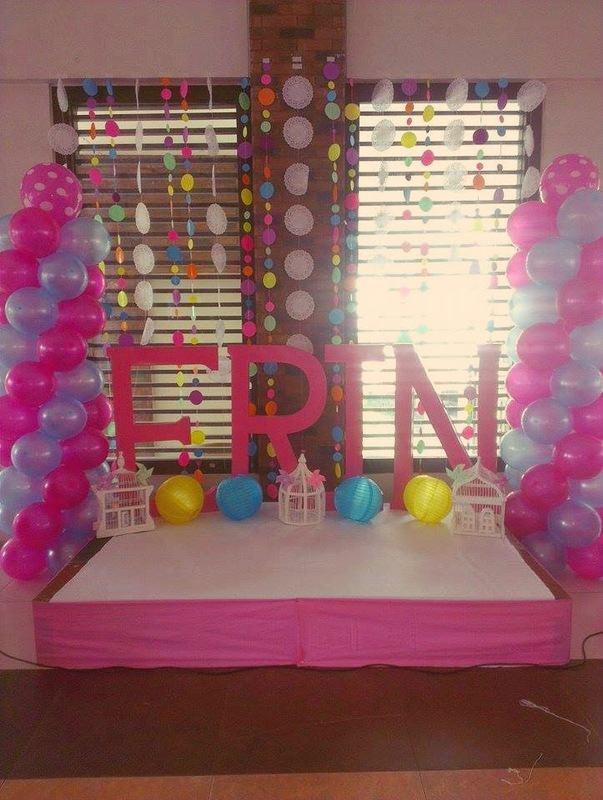 Having a themed party doesn’t only engage your guests but it makes it more memorable and enjoyable. 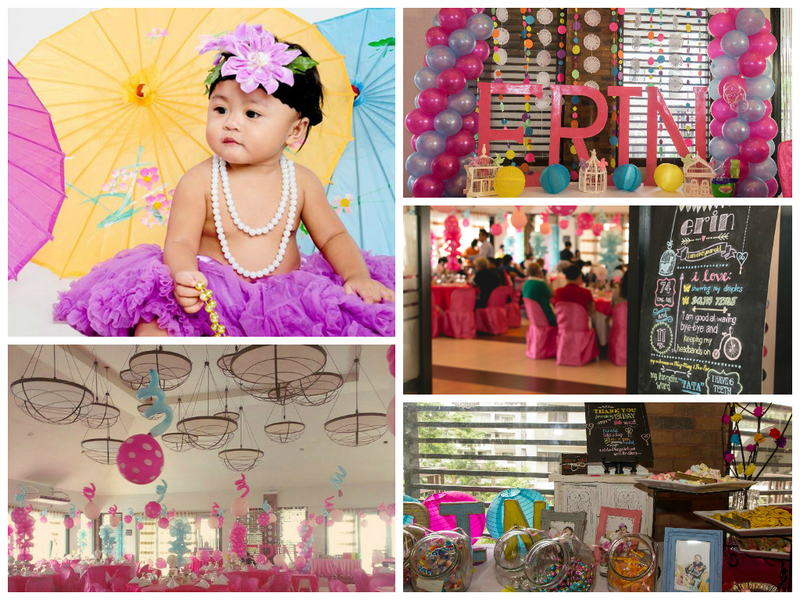 Last August, I was able to help a friend of mine to style her daughter’s 1st Birthday Party. 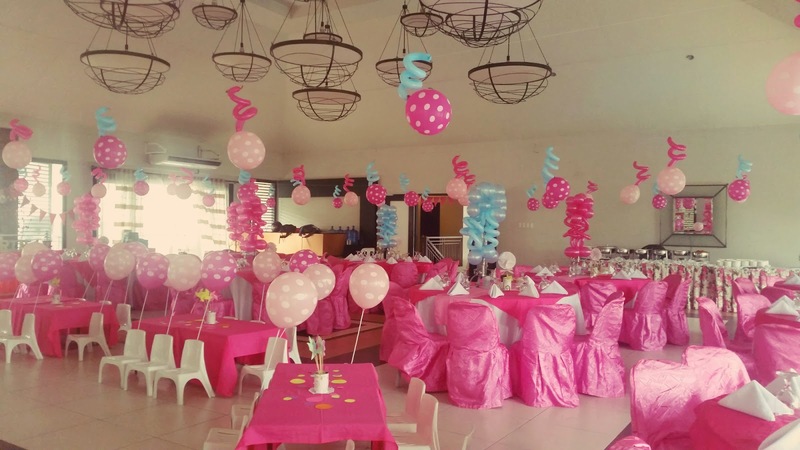 It was my first time to style a birthday party and I must say it’s more easier to accomplish than a wedding; because there are less details in a birthday party than a wedding. 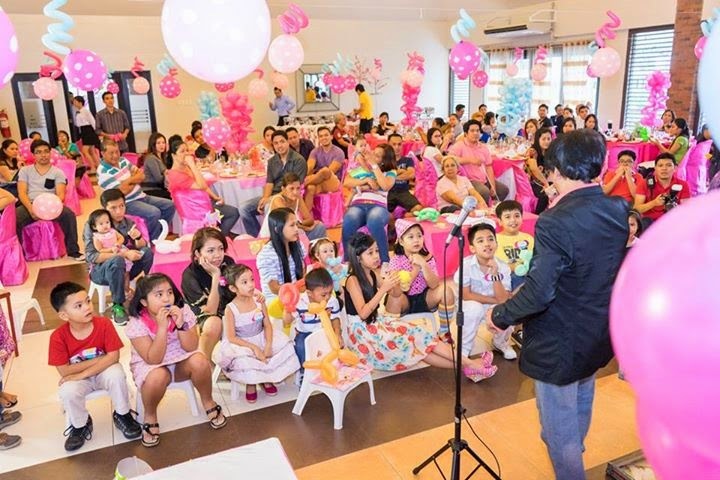 It’s also a plus point if the parents of the birthday celebrant (or the engaged couple, if it’s a wedding) are very engrossed, trust the event stylist and open to ideas as well (instead of having no input at all). 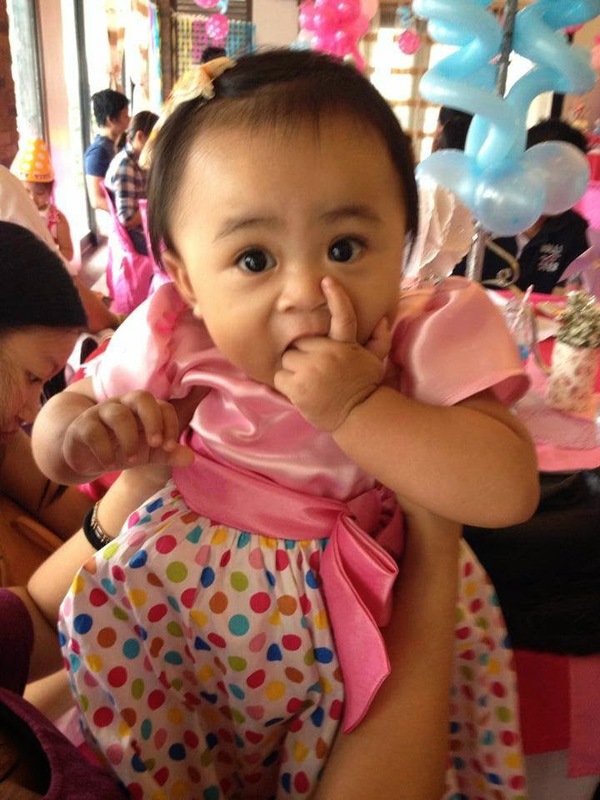 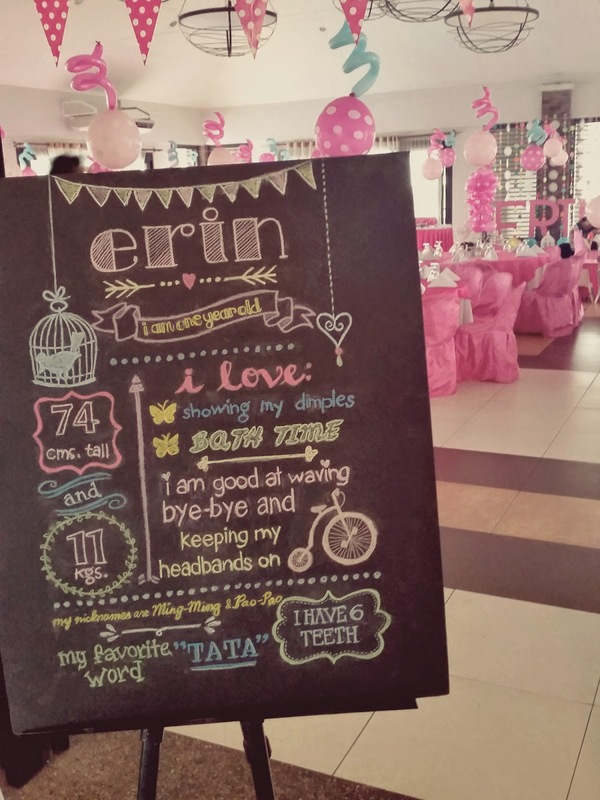 That’s what I love about Zharina, the mom of the birthday celebrant, baby Erin. 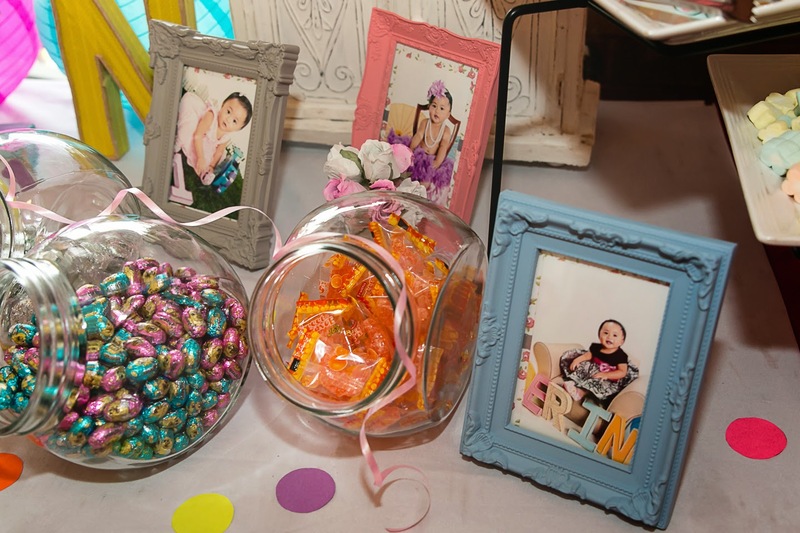 Mommy Zharina was torn between a Shabby Chic Theme and Polka Dot theme, but we came to a conclusion to combine the two themes together and it was such a unique theme. 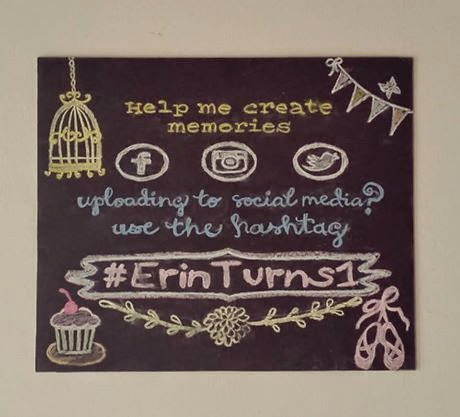 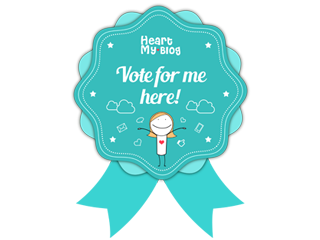 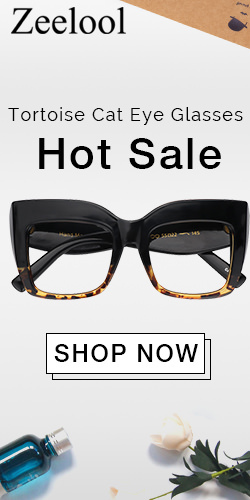 I haven’t seen something like it in the many hours I’ve been spending on Pinterest and event design blogs. 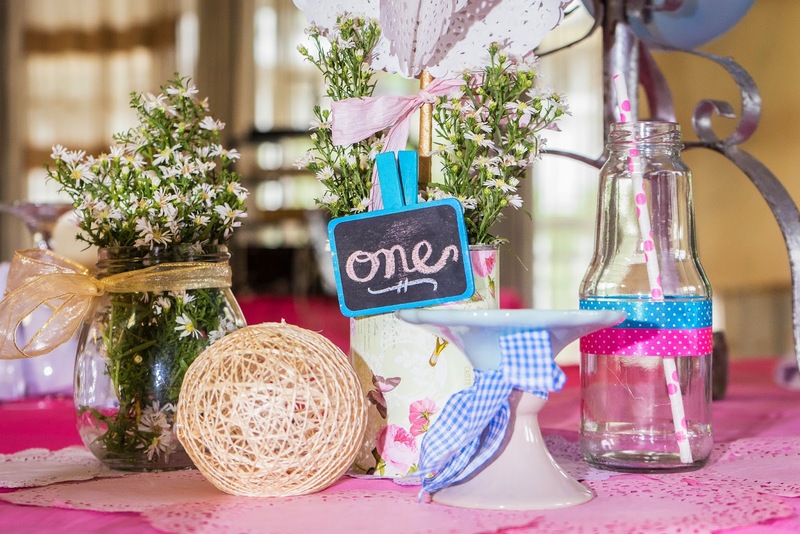 It’s either just a Shabby Chic Theme or just a Polka Dot theme, never both. 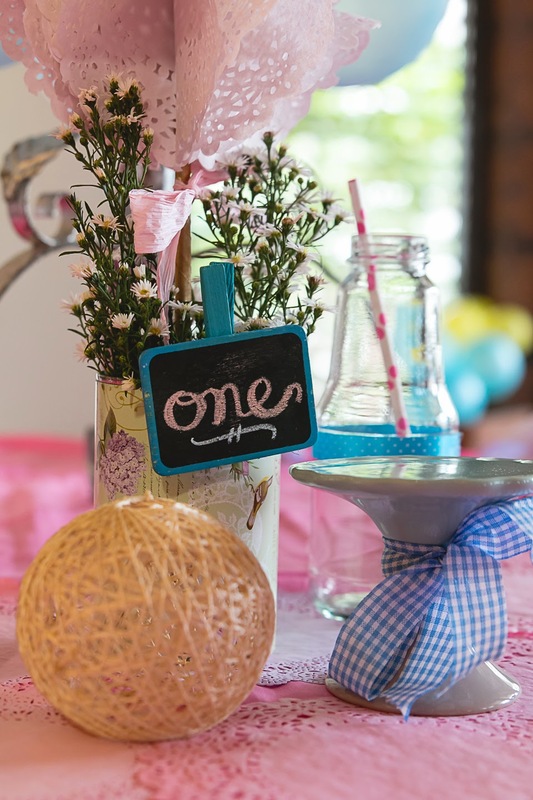 Plus, I think it’s a cool twist putting a polka dot elements to a Shabby Chic theme. Although I must admit, that I am getting too much attached this shabby-chic theme craze, that I need to challenge myself more next time and do a completely different theme, I hope my next project will push through because I will be out of my comfort zone with that client’s theme in mind. 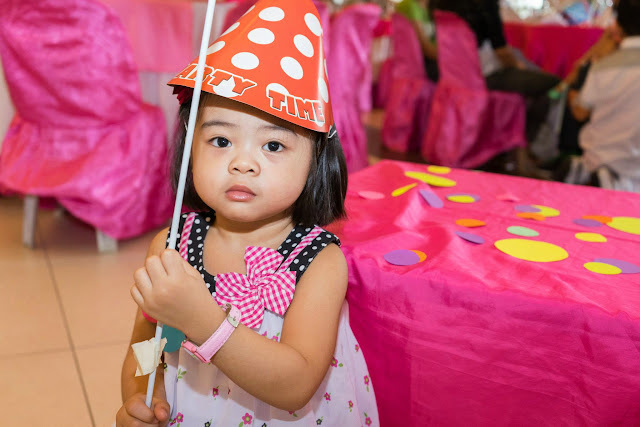 A polka dot themed party can give you endless ideas, but we decided to choose only a few that will look good with the design concept in mind, and also to make sure that they are something that can be done and assembled easily, owing to the fact that Zharina is a working mom and I too have a regular day job. 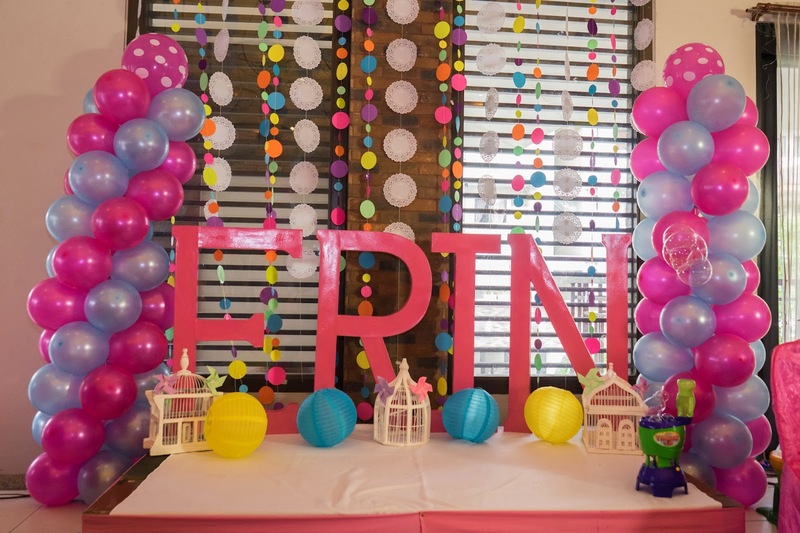 For the color motif, pink dominated the entire concept, since Erin is a baby girl and then we mixed it with bright colors which are very engaging for kids and pastel colors as well to cover for the shabby-chic part. 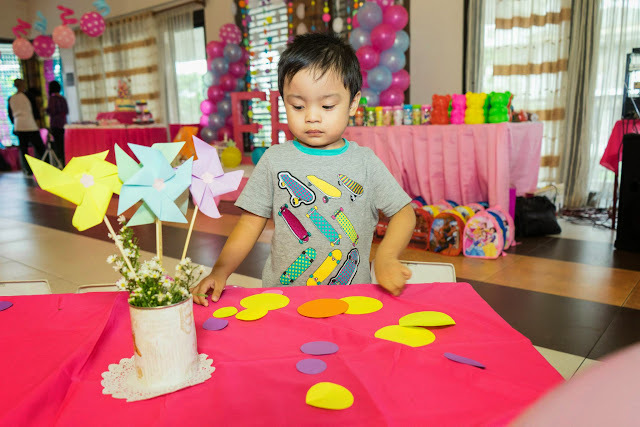 Having a polka dot theme party, the first idea that will come to mind will be balloons, but we didn’t settle for just ordinary balloons, mommy Zharina asked the balloon decorator to provide polka-dotted ones. 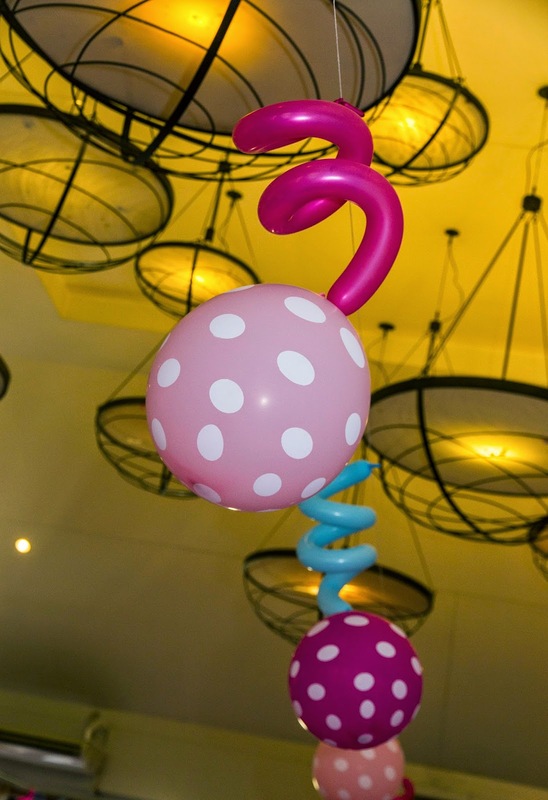 I loved how the balloon decorator placed the balloons at the venue, it gave a very cool effect that made the balloons seemed like floating in mid-air. 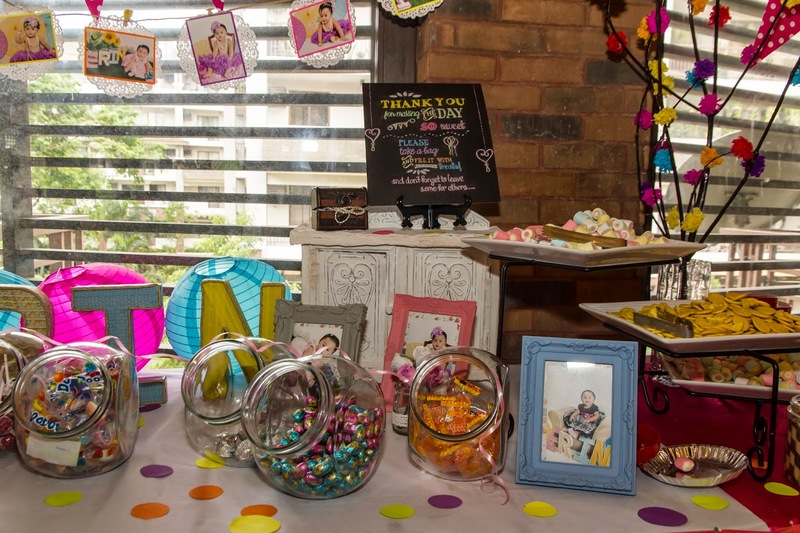 Polka-dot bunting flags and photos of baby Erin stuck on round doilies strung behind the candy buffet bar, which was in turn decorated with vintage looking mini cabinet and picture frames. 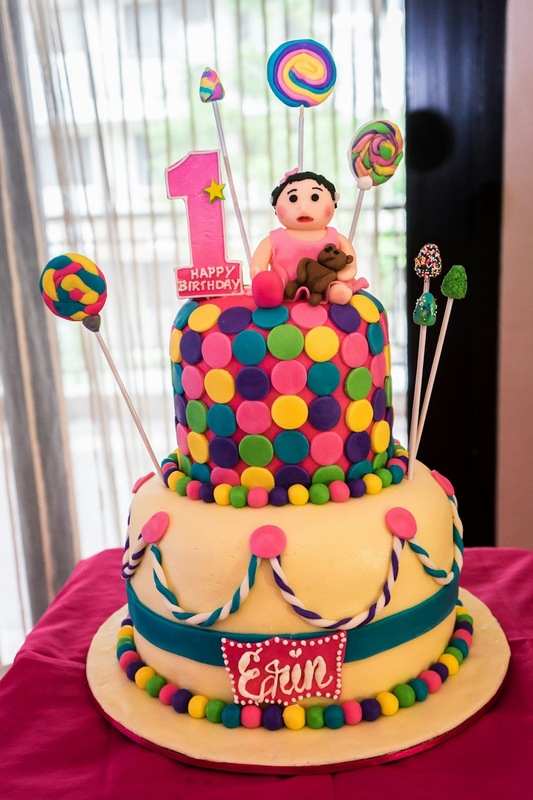 Even the birthday cake was not left out from the polka-dot theme. 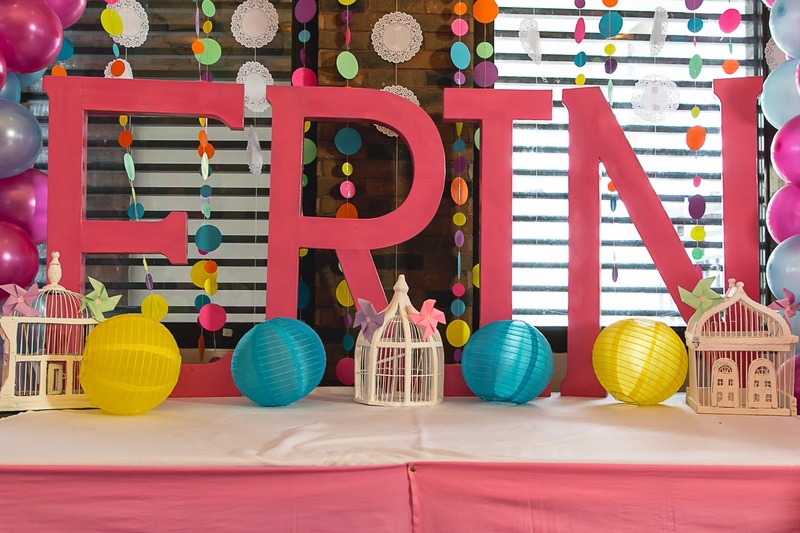 For the stage, we decorated it by using 3-foot tall standee letters spelling Erin’s name, added my vintage-looking birdcages and with doilies and circle paper cut-outs as back drop to really achieve the Shabby Chic meets Polka Dot theme. 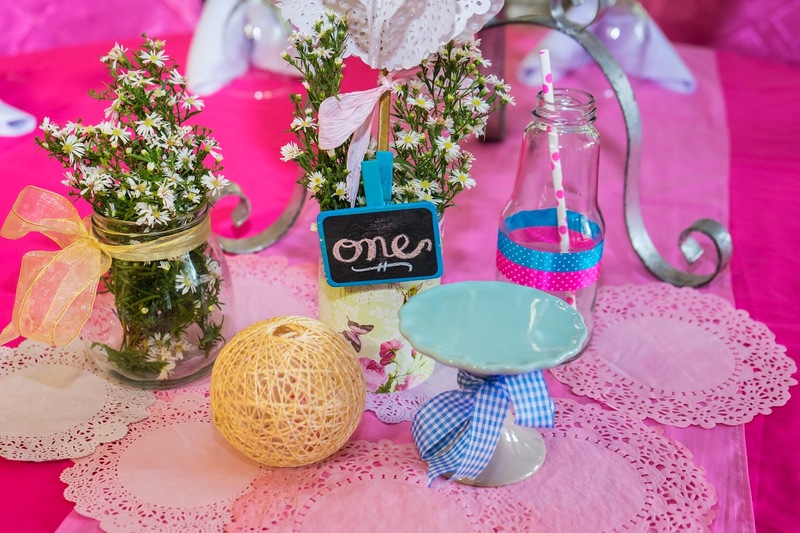 The kid’s table were decorated with pastel-colored pinwheels in refurbished tin cans wrapped in vintage-print papers and scattered colorful circle discs cut outs. 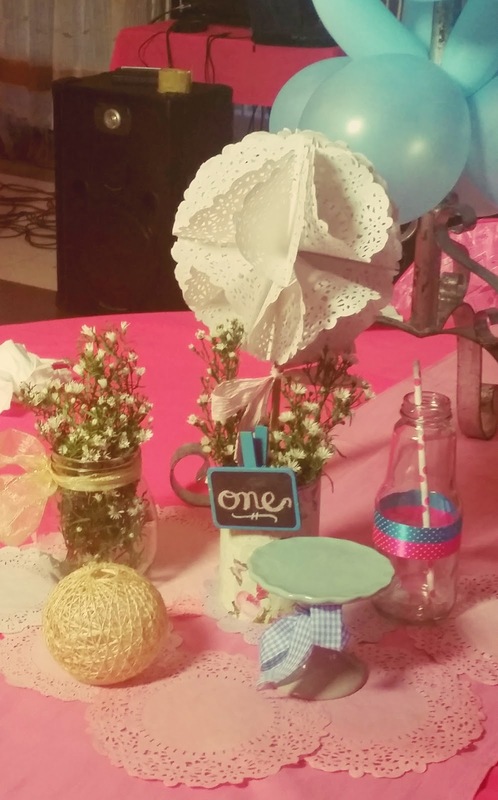 For the guests’ tables, we decorated it with balloons and shabby-chic looking items complete with round doilies dyed in pastel colors. 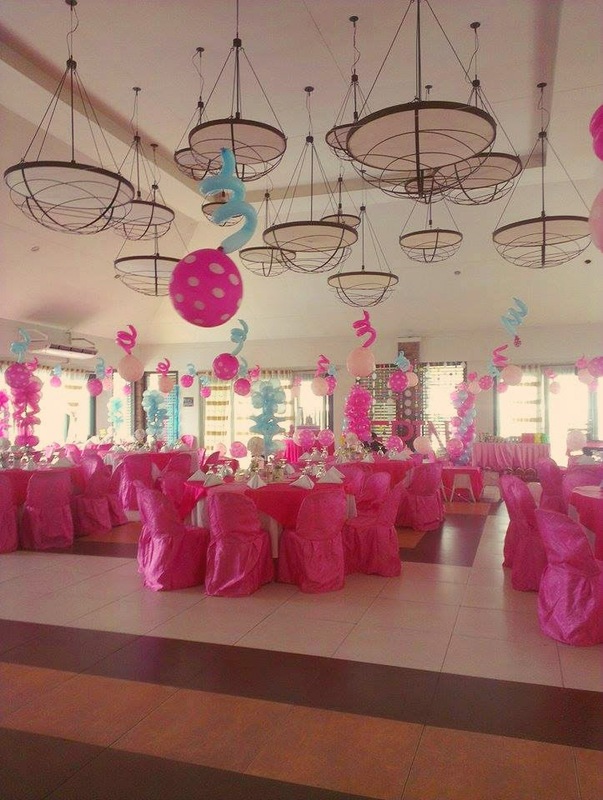 Polka dots can be interpreted however you see them and for sure there won’t be shortage of ideas. 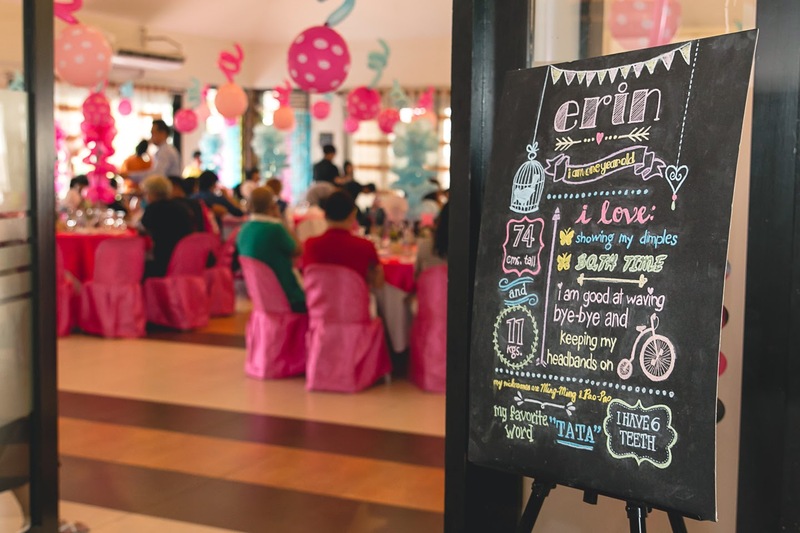 Also, don’t be afraid to combine themes in your events because that’ll make yours unique and something your guests will remember!